Urine in carpeting is a serious problem. Often, simple cleaning treatment isn’t enough; you need major restoration work. 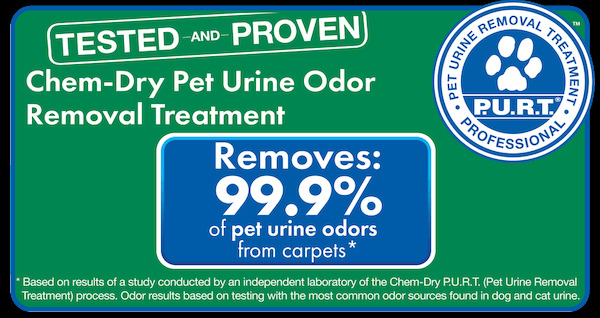 Now with Chem-Dry’s revolutionary Pet Urine Removal Treatment®, your most severe urine damaged areas can be saved. P.U.R.T.® is a revolutionary new product formulated specifically to eliminate urine odors. With this treatment, our professionals in Los Angeles have shown incredible results on even the worst urine damage. Get the Mess Cleaned Up Now! 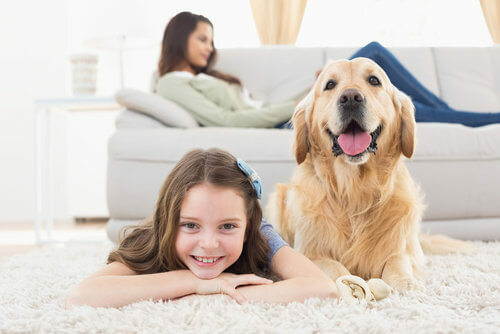 Urine deposited on carpet does not stay there, it penetrates the ﬁbers and contaminates both the backing of the carpet and the ﬂooring material below the carpet. Often, pets will urinate continually in the same general location. That means that urine odors will soak in deeper and odors will permeate from the floor. A technician determines the source and severity of the odor. The carpet is then rinsed and extracted with a hot water rinse to remove the bulk of the urine crystals.